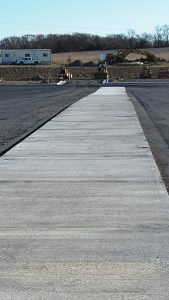 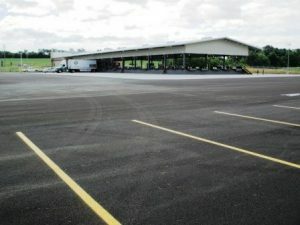 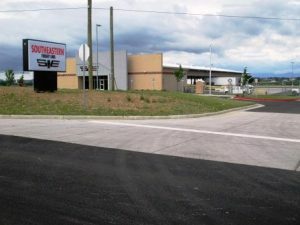 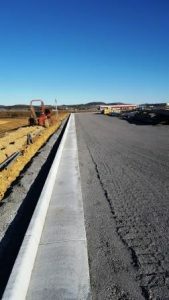 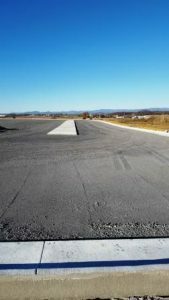 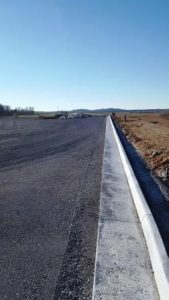 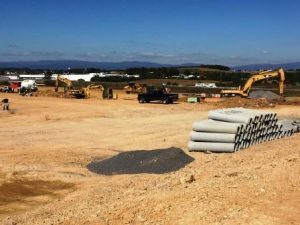 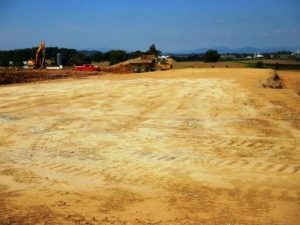 Project Description: Sitework for new building pad surrounded by asphalt and concrete truck parking area. 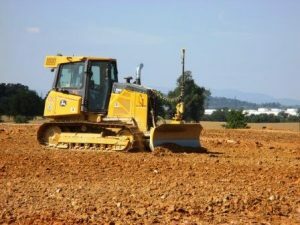 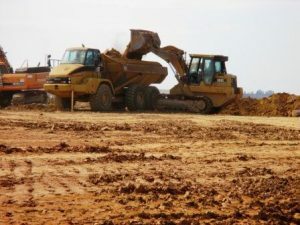 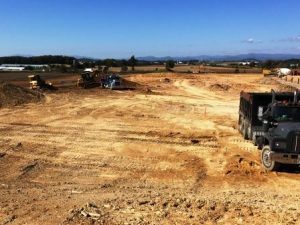 Our contract consists of the grading including reworking ex. 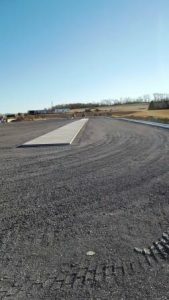 fill that was dumped onsite, rock removal, storm sewer, bioretention dry swale, sanitary sewer, water, concrete paving and asphalt paving.